OLD PARKED CARS. : 1970 Lincoln Continental Mark III. 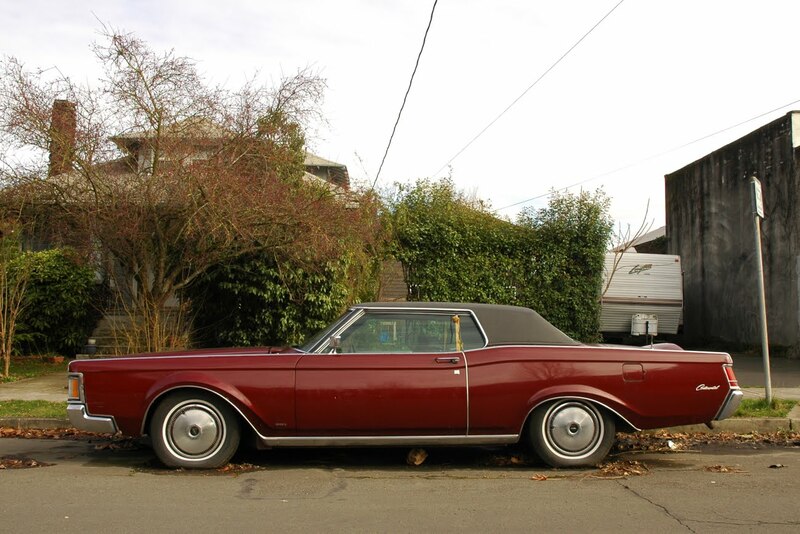 1970 Lincoln Continental Mark III. 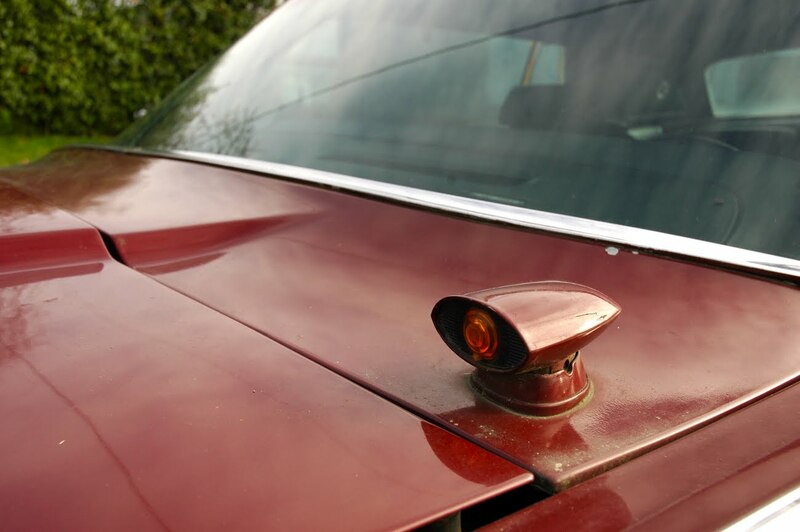 The auto-headlamp-dimmer looks like something out of the original "War of the Worlds" movie. 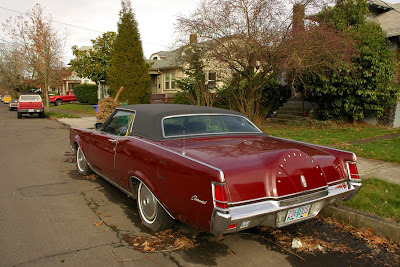 I looked at some of the other Mark III's in this sites's archives. From what I can see, there are two others that are labled as 1969 models. 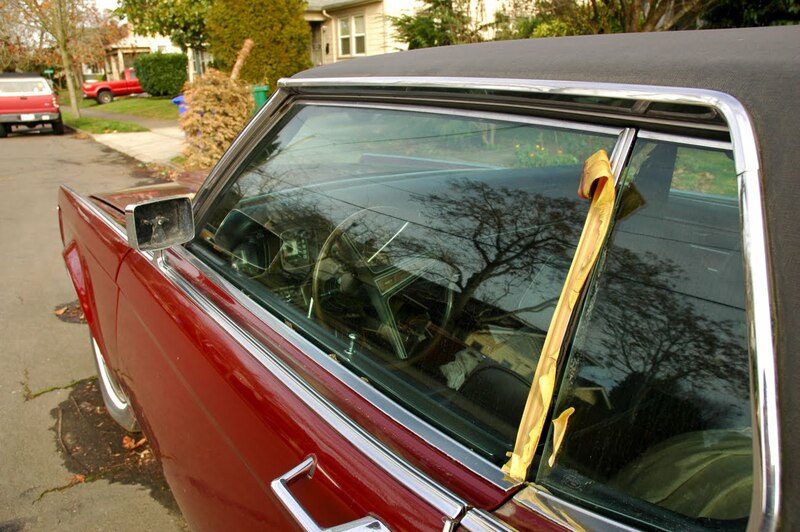 However, from what I can tell it was starting with the 1970 model year that they came with hidden wipers. The 1968/1969 models had exposed wiper arms. That headlamp dimmer is AWESOME....never going to see anything innovative and interesting on cars like that anymore. Ha ha. I've owned continentals and didn't notice that about the wipers. It is wearing Mark-IV wheel covers. Too bad EVERY body panel is misaligned. But it's a pain straighten when each one weighs 300lbs. Ah, two doors--each six feet long. great setting. 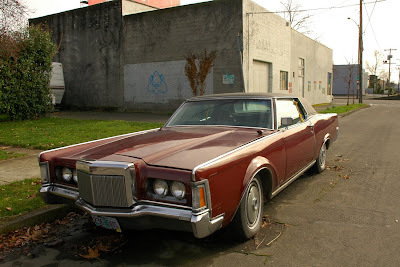 i love when these shots make portland look like a seedy, gritty place.